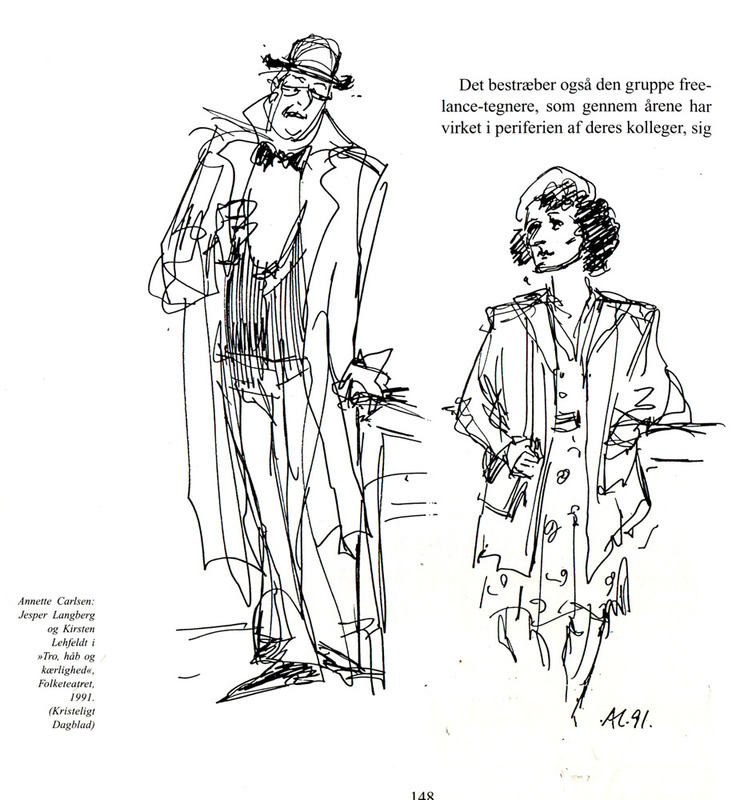 Drawings printet in a book from 1998 about Danish Theater-drawing. 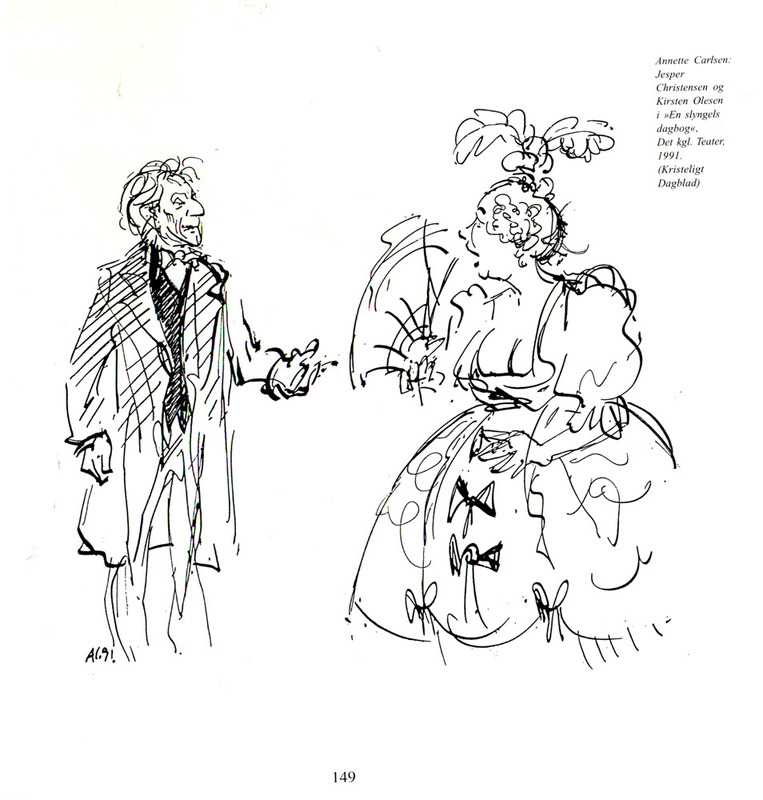 Jesper Christensen og Kirsten Olesen. 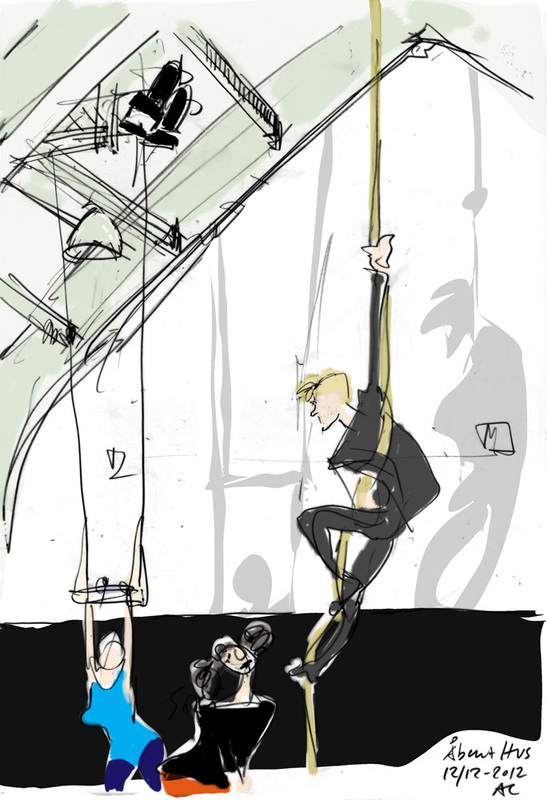 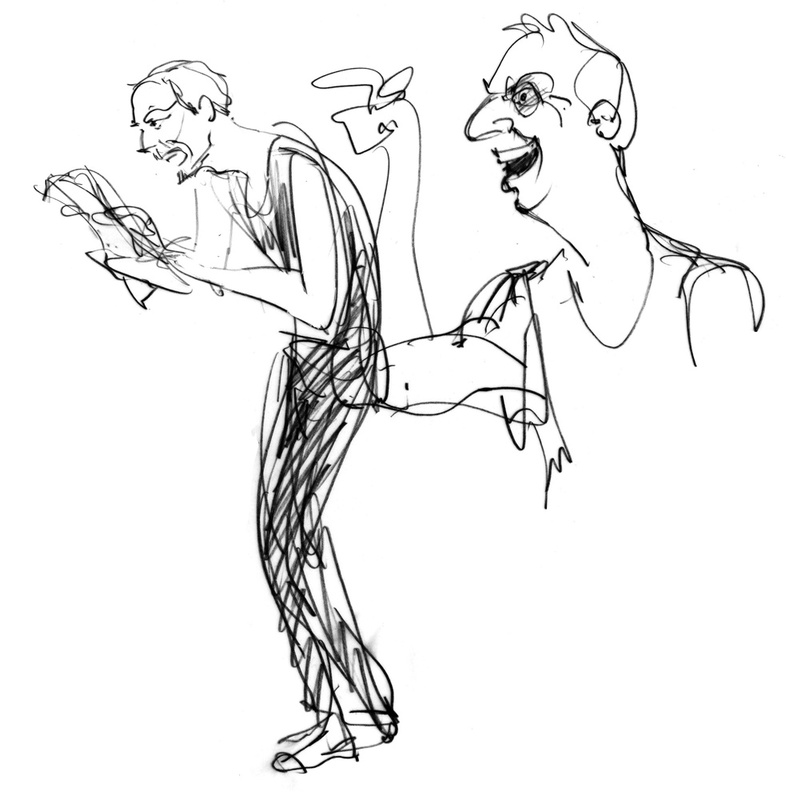 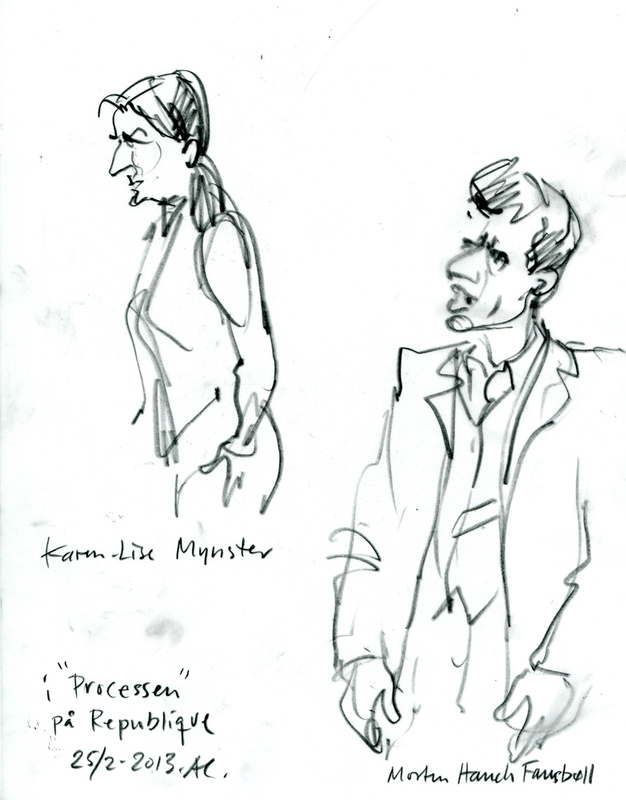 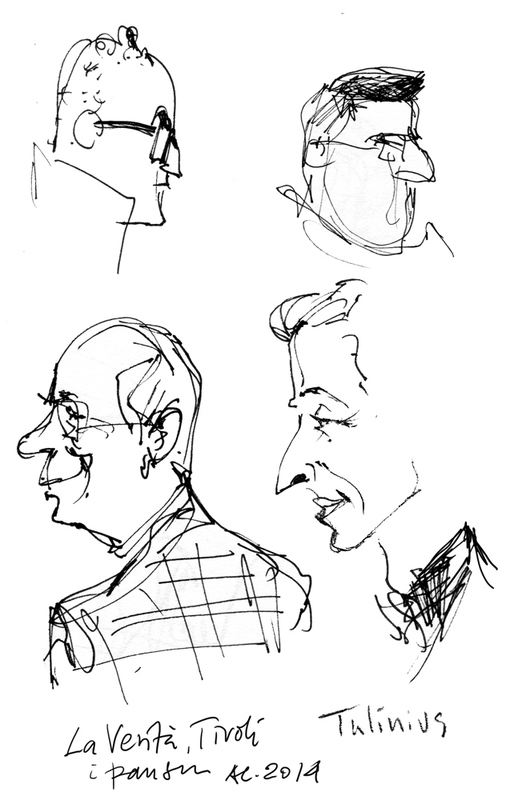 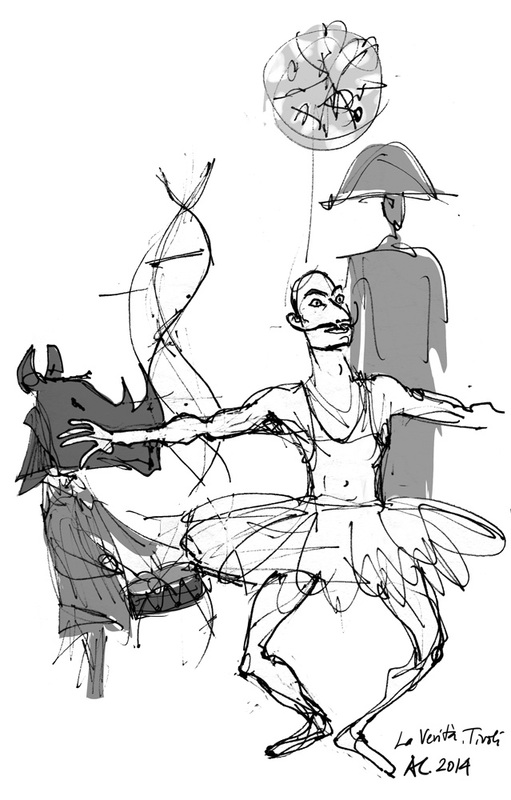 From the 1. row- Danish theater-drawing during the last 100 years. 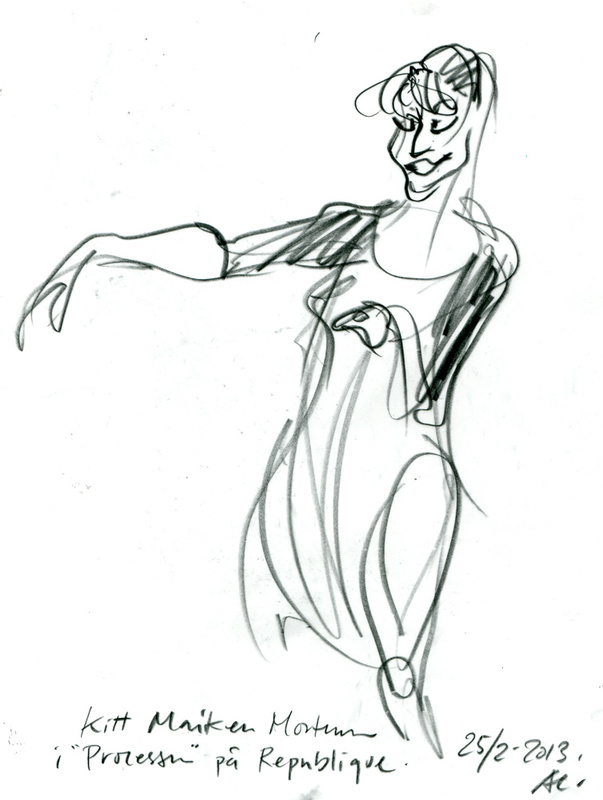 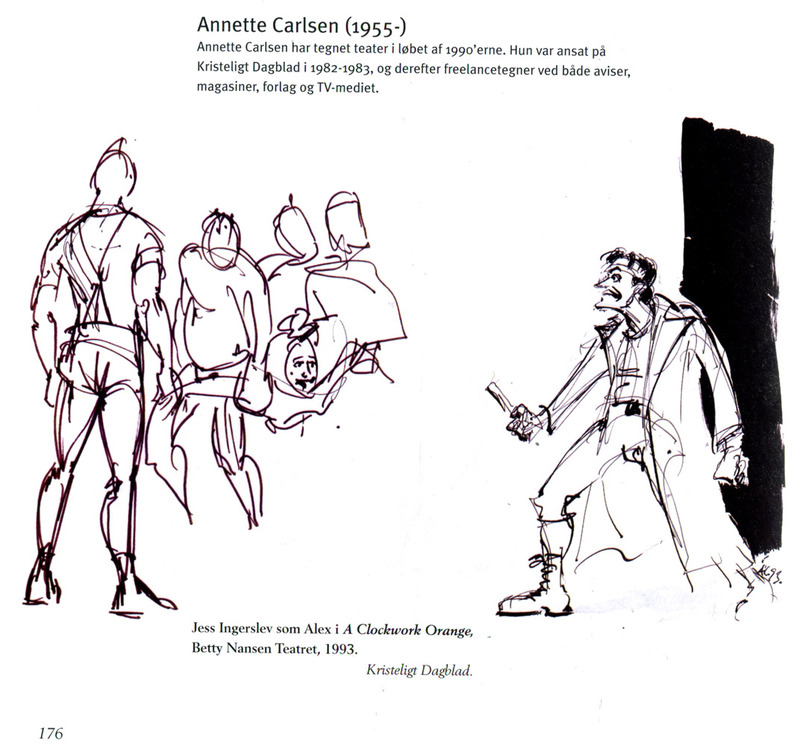 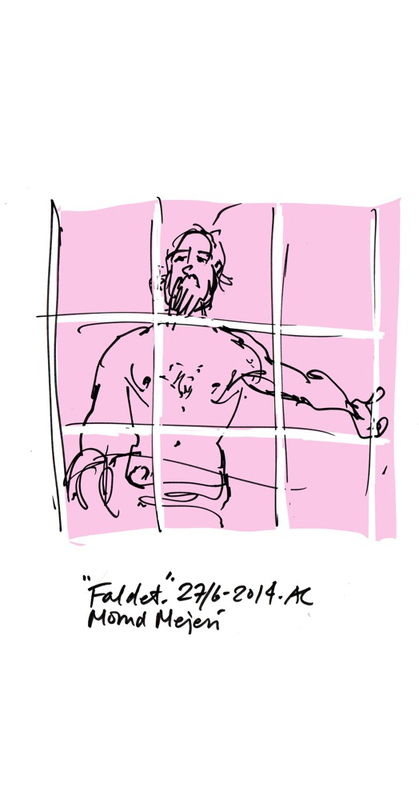 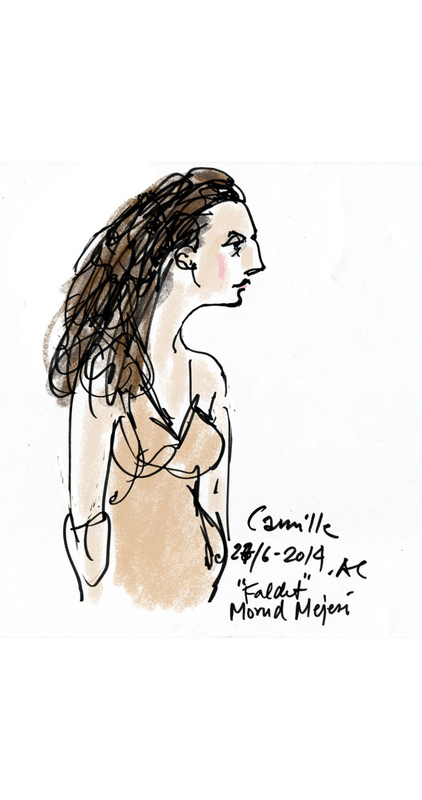 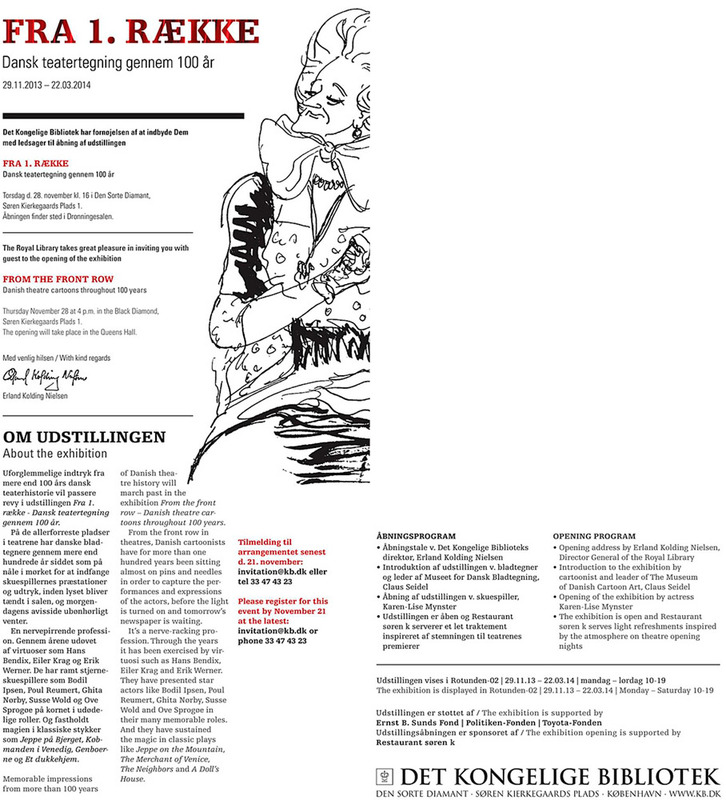 "Printet in 2013.The text says: Annette Carlsen has made drawings from the theater mainly during the 1990´s. 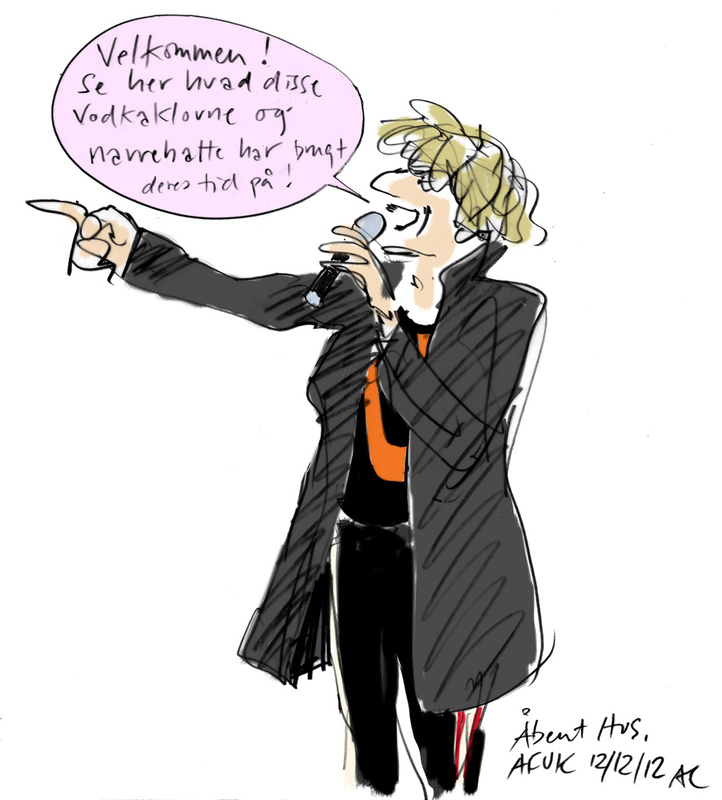 She was employed at the Kristeligt Dagblad in 1982-1983 and has worked freelance for this newpaper and other magazines, publishers and TV since. 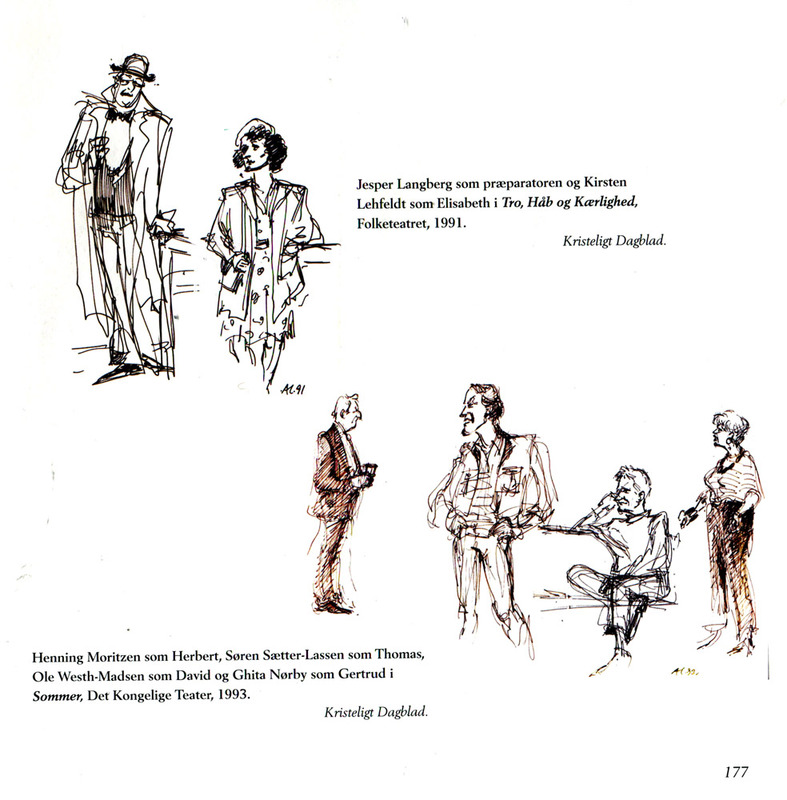 The drawings from the book were exhibited at the Royal Library in 2013-2014. 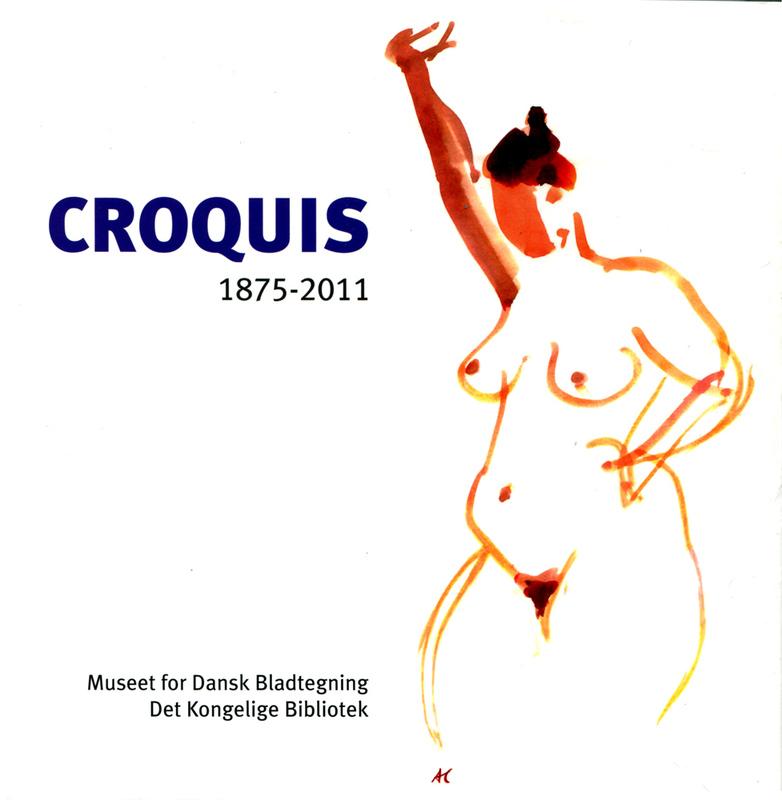 In 2011, the Danish Cartoonists chairman at that time Claus Seidel made an exhibition at the Royal Library of croquis drawings from 1875-2011 and this is the front of the book, which was made on that occasion.